FeedBack ( 0) Big changes for Enfeedia are now underway. We are converting Enfeedia to a "by invitation" RSS feed publishing service. We are reviewing current accounts, and have made the decision to close the accounts who have abandoned their accounts and have either not posted an item or just one item on their feed. That process is underway. Next, we will review the accounts of more active members and determine the proper course of action on a case-by-case basis. Additionally, we will likely change the price structure to be a paid-in-full basis instead of the current monthly subscription basis. A final decision has not been made. With the coming changes, we expect to change our business model to address the needs of professional publishers, most likely owners of websites who understand the need to communicate closely with their customers. We intend to provide professional level of service to help our customers to successfully deploy RSS feeds to the benefit of their businesses. We wish to be viewed as partnering in their success, drawing upon all the features of Enfeedia features as appropriate, and know we can and will earn that respect. Stay tuned for more updates. If you are a current customer of Enfeedia and believe you should receive an invitation to continue with us, please register for a news alert for this feed, what we call FeedMail. See the yellow highlighted text at the top of this feed as seen on our website. FeedBack ( 0) I'm concerned. Some of you open an account but do not start a feed. Some of you do start a feed but don't post an item on it. And others post one item and never post more. What I'm concerned about is you being confused about the product or encountering a problem. I want to eliminate any issue that discourages you from using Enfeedia and enjoying its many benefits. But you have to tell me! Please go to the Contact page and tell me your story. 1. Keep in mind that until an item is posted on a feed you create, it is not published. The reason? There's nothing to publish. 2. Be sure to give the reader of your posting a way to follow up on your item. An easy way is to make the Item Title a link to your website. Simply enter the URL in the "Item Link URL" field. You'll find it as one of the drop-down forms on the page where you enter your posting. In the case of my post here, I made the Item Title link to the Contact page of this site. But you can also include your URL (or phone number or email address) in the Description of the item ... like this: Tell me your story at www.enfeedia.com/contact-us.php . (Leave a space at the end of the URL, and make sure there is more in your Description after the URL. 3. You can upload photo to be embedded in your posting. Use the "Image URL" feature. Several options are provided. There are many more features (such as embedding YouTube videos), but the above will give you a robust feed. 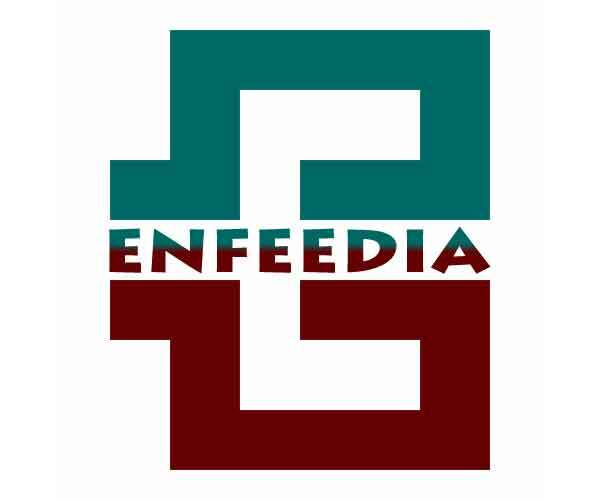 Check out the two feeds published by Enfeedia customers published on our home page. You will see expert presentations of their businesses! Almost forgot -- Post items often to get the full benefits. And to really get attention, syndicate your feed on your own website. It's easy -- just a matter of inserting a line of code on your website. We provide that code based on your instructions you provide us. Need help? Click those little red boxes with the letter i in it to get information pertinent to the operation you are using. In addition to simply using the URL for the image when it's posted online somewhere, or by referencing the image on Flickr, you can upload the image file directly from your computer. You click "choose file" on the "Image URL" screen where you make an image selection when posting your item, and you are given the ability to search your computer directory and select the desired image. You can also upload an image from your camera app whether it's a photo you took some time ago or take at the time you are writing your posting. Support for the GIF format is not only beneficial because of widespread use of that format, but because it also gives you the opportunity to display eye-catching animated graphics. Photoshop as well as other apps such as ezgif offer the ability to create animated GIFs. FeedBack ( 0) You may be tempted to blast out email to a large group from time to time. You need to be careful! No matter how innocent your email may seem to you, your email could be graded as spam by email service providers. They continue to tighten the screws on spamming, and even you're non-spam message might be harshly treated. You are at the mercy of the email service providers. One consequence is that you might get blacklisted, which means your future emails could go undelivered. There are dozens of ways that could occur. You could also have your email account suspended or worse, cancelled, if you exceed your permitted number of email "relays" in a given unit of time (e.g., day, month). The total of email address on your To, From, Cc, and Bcc lines is your number if relays for that each email. The CAN-SPAM Act of 2003 is very specific about spamming. In the extreme, a person could face a penalty of thousands of dollars for spamming. Among other things, it requires people to only be included to receive bulk email by opting in, and with every such email be offered the ability to opt out. Keep in mind, Enfeedia is not a legal advisor; it's important for you to know what the requirements are. So what's the proper way to send bulk email (aka email blasts)? Interestingly, it doesn't even call for you to write an email at all. Here's how. 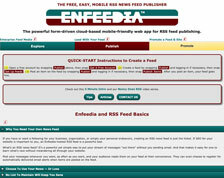 Publish a feed -- like the one you are reading now -- using Enfeedia! Invite people to join (opt in). You can do so in many ways: from your website, from your Facebook account, from Twitter messages, from individual email correspondence, even word of mouth. Enfeedia's NewsPage that is automatically generated for each feed includes a method to opt in. Enfeedia provides code you can use for your followers to opt in. When you publish an item on your feed, the message is transmitted as an email -- we call it FeedMail -- by our email distribution partners to all those who have opted in. Those partners are compliant with the opt-in and opt-out legal aspects of bulk email. And you send no email through your email service provider. Be safe. Follow the rules.Use an Enfeedia-published feed to handle the pesky aspects of email distribution through our email distribution partners. FeedBack ( 0) Please read the following important changes to Enfeedia that provide an improved level of security and a more convenient process for requesting a new password should you forget your current one. In recognition of the relative easy that one can determine an Enfeedia member's account "Name" that also functions as a traditional userID, we thought it a good idea to add another level of security. This seems especially useful for requesting a new password because, at the time you are wanting a new password, you apparently do not remember your current one, so of course we can't ask that you enter your password to request a new one. We made the Security Key optional, but recommend that you use it. Your existing account as of the beginning of December 2014 does not have a Security Key. It's up to you to create one if you wish. To do so, log in, navigate to your account through the "Publish Items" menu item. You fill find the capability to set a Security Key under the first of those four account category items. You would return to that place to remove the Security Key or to edit it later on, if you wish. Once you set up your Security Key, you will need to use it to log into your account, in addition to entering your password, and you will need to enter it when requesting a new password. The Security Key can be up to 12 alpha-numeric characters. We suggest you don't need to go to the extremes that you do to create a great password, nor change it very often at all versus what you should doing for your password, because now, the combination of userID (account Name), password, and Security Key are all required for logging in and getting a new password. For example, perhaps your mother's birthday -- who would forget that. Or any other convenient personal tidbit. The combination of our recently introduced more robust encryption algorithm for passwords and the Security Key raises the security of your account to an extremely high level. If you do not choose to specify a Security Key, operation of the site is unchanged with respect to logging in and fetching a new password. While implementing this feature, we also modified how fetching a new password is done. Previously, each time you requested a new password, your current one and the password issued for previous requests were immediately invalidated. In other words, the only valid password would be the one being issued for the most recent request. With the change, the website issues the same temporary password with each request (invalidating of course your password prior to requesting a new one) so that if you do not receive or find the email with you new password for any reason, any one of the emails issued from your requests will contain a valid password. If, after three requests, you still have not received your password, your fourth request will trigger an email to Enfeedia Technical Support. We will contact you to make sure you successfully get a new password. You should allow up to about 72 hours, though, if it becomes necessary for a tech support representative to personally provide that help, so as always, we highly recommend you securely record your password. FeedBack ( 0) Having read reports of vulnerabilities of the SHA2 encryption method we had been using, we have upgraded to a more robust encryption method. But as a consequence, it is necessary for members who have not changed their password since November 29, 2014, to request a new password. Please go to the Contact Us page to do so. This change was strictly preventitive; no accounts were breached. We regret imposing the need to get a new password, but changing the encryption method requires it. We're serious about security . After you request a new password, you can log in at the site and go to My Account to change your password to something you prefer, even your previous password if you wish. We also took advantage of the down time to implement a Security Key feature. It is optional, but it provides more security to you when requesting a new password. It also makes it incredibly difficult for someone to log into your account. Until you activate it by selecting a key (at the My Account page), operation of the site is the same as before. We will post another item on this feed to describe this new (optional) Security Key feature. The motivation behind the Security Key feature was in recognition that your Account Name is easily learned by anyone, since it appears in your feed addresses (URLs). For Enfeedia, the Account Name is, in effect, also your userID. Although across the internet userIDs are not explicitly private, because of the ease in learning your account Name -- hence userID -- we thought it wise to add the protection afforded by the Security Key. When you do activate it, RECORD IT, as you will need it to get a new password. Should you forget it, you will need to contact our technical support to have it deactivated, allowing you to create a new key. Finally, please know that we neither ask for or record any financial related information from you, including credit card information or personal information other than your name and email address. No e-commerce is provided on Enfeedia; highly-regarded PayPal is used for all purchases. With our recent flurry of four fantastic announcements, Enfeedia has upped its game. Summarized here, they are detailed in recent postings on the Enfeedia "News" feed. 1. Drastically reduced rates for our feature-packed Publisher and Publisher-PRO premium memberships. Just $1/month for Publisher, and $3/month for Publisher-PRO. Embed YouTube and Vimeo videos. Create Calendar and Subchannel feeds. Include "Snap & Feed" smartphone photo posting and Flickr terms-of-service compliant image posting. Item-by-item "FeedBack". PayPal and Google Search tools. Editor, Reporter, and Freelance postings. Up to 10 feeds, up to 50 items/feed, up to 16K characters per item! And the new Supper Simple Syndication -- see below -- to build your follower base and enhance your SEO campaign. Check out all the features. 2. "Super Simple Syndication." You can now easily syndicate (embed) your feed on your website using only a one-line code "snippet". No anxiety about uploading that shootOnSite script. All the heavy lifting is done at Enfeedia. The method used ensures that search engines crawl and index the feed contents, enhancing your website SEO 'score'. Super Simple Syndication has been added to the Promote section of the website where you can learn more. 3. Syndicate your feed on your WORDPRESS website! Use Super Simple Syndication to embed your feed virtually anywhere you want on your Wordpress website. Just use the Enfeedia-provided code snippet in combination with the free "Insert PHP" plugin. Why syndicate a feed on a Wordpress site? Because unlike Wordpress' native postings, this method will not strip tags from your feed, meaning you can use the advanced features provided by Enfeedia without Wordpress stripping them out. Check out this strictly-demo Wordpress page to show you how it looks with images and videos, using one of the six snippet types Enfeedia offers. You are receiving this Blogtrottr-issued email because we even eliminated the registration process for Enfeedia members prior to September 23, 2014. Take a look at the bottom of the email -- you can opt out if you want. But we think that would be a mistake because we announce everything new about Enfeedia using our News feed. And ditto for our Tips feed -- for which you are also registered -- which offers great suggestions and ideas for getting maximum benefits from your Enfeedia membership and become a 'power feeder'. Why syndicate an Enfeedia-generated feed on a WordPress website? Because the generation of the HTML code for the feed is done at Enfeedia. Using the Insert PHP plugin and PHP code snippet provided by Enfeedia, the HTML code for the feed generated by Enfeedia is received at WordPress and replaces the code snippet, without any alteration by WordPress. And that means none of the tags that Enfeedia permits and uses -- for unlimited text links, formatting, and images -- and for advanced features -- embedded YouTube and Vimeo videos, PayPal BuyNow buttons, embedded Google search tool, item-by-item FeedBack comments, embedded Flickr photos automatically compliant with their important terms of service -- are intact. Formatting you may have included is preserved. In addition to faithful presentation of the feed as generated by Enfeedia based on your item postings, you also enjoy advanced features of Enfeedia feeds, like uploading photos directly from your smartphone camera roll or taken live while posting an item, random selection of items for presentation each time the WordPress page is opened (a nice SEO 'fresh content' feature), and uniquely organized calendar and sub channel feeds, and delegating posting tasks to Editors, Reporters, and Freelancers having various privilege restrictions. Every time the WordPress page is opened or refreshed, this syndication process is repeated so that presentation of current contents of the feed is assured. Here is a sample on a basic demo page. This demo page shows the code snippet used for the demo (there are five types of snippets for various presentations of the feed). What's the price for publishing RSS feeds at Enfeedia. For Super Simple Syndication, the price is a ridiculously low $1/month for the required Enfeedia "Publisher" premium membership which includes many of the features listed above. And for the "Publisher-Pro" premium membership, just $3/month. Visit this features page to see the full lineup of features. (1) The code snippet requires that the PHP allow_URL_fopen configuration parameter to be set to "on", and that's the default value. FeedBack ( 0) Effectively immediately, the monthly rates for the Publisher and Publisher-PRO premium memberships are reduced to just $1 and $3 respectively! Three months of Publisher cost about one cup of Starbucks coffee. A bag of popcorn and beverage at the theater probably equals over a year of Publisher membership. One Publisher month is pretty much "sofa change"! Now there's really no reason not to upgrade to take advantage of the additional features. Existing premium members will have their rates accordingly reduced effective their next billing period. To upgrade, click here to log in, then click "My Account". You will find an "Upgrade Membership" choice in the page that opens. Upgrade today and take advantage of a bundle of powerful features offered at the Publisher level ... Super Simple Syndication (just announced), embed Flickr images conforming to their policies automatically, embed images from your smartphone, embed YouTube and Vimeo videos just by copying and pasting the share code they provide, support FeedBack comments on your feed items, include an "editor" sign on to delegate posting activities to other(s) and get five feeds with up to 50 items per feed. And more features at the Publisher-PRO level. Visit MEMBERSHIPS today and view the Membership/Feature table for details. Is your website built on WordPress? STAY TUNED FOR ANOTHER EXCITING ANNOUNCEMENT! If you are not currently registered to received email announcing new postings on our feeds, now is a very good time to do so. You would have gotten the previous announcements -- delivered to your email inbox. And that WordPress announcement will also arrive in your inbox. To do so, go to our home page and find the yellow-highlighted registration link in the Enfeedia Breaking News section. Henceforth, you can syndicate (embed) an Enfeedia hosted feed on your website without uploading a script to your website. Previously, in addition to inserting a small PHP code snippet that invoked the syndication process, you needed to upload a sizable piece of PHP software to do the heavy lifting. Now, just use one of five newly defined code snippets to invoke the Super Simple Syndication method at Enfeedia. Think of it as Syndication as a Service, and for you, it's scriptless. The result of the syndication process is that your code snippet is replaced by the HTML code for the feed you want syndicated. You get to optionally specify how many of the items are to appear, and how long each item description is, in terms of characters, before encountering a "read more" link. These options give you control over your website real estate. I'll get to the other important topic in a moment, but first, why are we doing this? Not only does it make it a heck of a lot easier to syndicate a feed (even the snippet is much simpler), but also we're concerned that some of you may be hesitant to upload a complex script to your website being unsure of how it might affect your website's operation. Now, your site tells Enfeedia what feed you want syndicated, and Enfeedia returns precisely the HTML code for the feed which replaces the snippet. That's it. To learn all about our Super Simple Syndication feature, visit our Promote Feeds page. You can be syndicating your feed in minutes. Super Simple Syndication is available to Premium members. But stay tuned for a blockbuster announcement about upgrading from the Communicator plan, coming very very soon! If you wish, you can continue to use Enfeedia's Original Syndication method wherein you upload the script and insert the code snippet. The instructions for the original process continues to be presented on the Promote Feeds page. Having shown how easy it is to syndicate your feed on your website, we want to stress how incredibly valuable it is to do that! If it's important that your website rank high in search engine result pages (SERPs), then syndicating your feed is a vital element of your overall SEO strategy. Why's that? Because search engines value fresh content that's relevant to the rest of the page, and reward sites with embedded RSS feeds that indicate frequently updated content. It stands to reason that a search engine would consider a website that routinely provides updated information to site visitors as more valuable to surfers than stagnant sites. Search engines also index websites more frequently that they come to know as offering fresh content so that internet searches yield current information. Documentation "out there" confirms that Google gives value to maintaining fresh content. So, syndicate your feed on your website, post your original articles frequently (weekly to monthly works well), and make sure the theme of your articles is consistent with the rest of the webpage (after all, you don't want to confuse search engines as to what your page is about). The good news is, as you have just learned, syndicating your feed on your website has become very easy. And each time you post an item on your feed, your webpage is automatically updated without you lifting a finger. To be perfectly clear, you do not upload your feed to your website whenever you post an item. Enfeedia effectively does that for you through this syndication process. Just like I said, Step Up Your Site's SEO Score with Super Simple Syndication. You've invested in one or more feeds, start syndicating them now to wring more value out of them. FeedBack ( 0) Since Yahoo ended their email alert system for feeds, Communicator members have been denied that important feature. Now, with our new collaboration with Blogtrottr, we are able to not only reinstate an email delivery service, but one that is much simpler than what Yahoo had offered. Blogtrotter email delivery service is also available to premium members in addition to FeedBurner. However, we cannot guarantee how much longer we will continue to support FeedBurner. New subscribers are encouraged to use the Blogtrottr system going forward. Enfeedia will provide, at no cost to our members, porting of email addresses of FeedBurner subscribers over to Blogtrottr; that offer will not continue indefinitely. Stay tuned for more information about our ongoing plans regarding FeedBurner. Enfeedia now offers, in the Promote section of the website, Enfeedia feed publishers to get code snippets for two kinds of widgets that when installed in a website, provide the means for for site visitors to subscribe to our publishers' feeds. The graphic button widget takes little space and opens a page for entering an email address, whereas the form widget includes the email entry right there on the web page. You can check out the button widget for Enfeedia News on the Enfeedia home page, and for our Tips and Articles feeds in the right sidebar off the home page. FeedBack ( 0) Now, when entering your item posting, you can upload a photo from your computer hard disk or a photo from your iPhone camera app. There's no need to put your image online somewhere else and link to it there. As you enter your Item Description, you will see a new option relating to the Item Image: "Upload Photo". If you are composing the item on your smartphone -- that is so easy to do now, with the conversion of Enfeedia to a responsive (mobile-friendly) design -- you will be presented the option to use an existing photo on your phone or to take a picture and use it. Previously, if you took a picture using your smartphone and wanted to use it for a feed item, you had to move your photo to your computer, then upload it to some online location such as Flickr. Now, you can take that picture "live" as you are composing your feed item and use it directly. If you take your picture before composing your feed item, you can then select the picture from your smartphone camera roll or photo stream. This feature is perfect for on-the-go news capture, but of course super-friendly for any posting that calls for a photo, whether from your smartphone or your computer hard disk. Will your embedded feed on a responsive (mobile-friendly) website also be responsive? FeedBack ( 0) You may be wondering, given the transformation of the Enfeedia website into a responsive design, is one's news feed embedded (syndicated) on a responsive website also responsive? The Blog/News page of the Winning Pickleball website exemplifies how well your feed or blog seamlessly an integrate into your webpage design. Try it on your smartphone, tablet, and computer to see how it adapts. FeedBack ( 0) The fully "responsive" version of Enfeedia RSS feed publishing system has been released today. "Responsive" means that the presentation of information on the device is automatically adjusted for the screen size of the device. The user experience is identical across all popular platforms ... desktop, laptops, tablets, phablets, and phones. Learn the system on one platform, use it on other platforms without relearning the system. No longer is Enfeedia on a phone just a shrunken website that requires panning and zooming. Why did we do this? Because the online world is surging to mobile devices at breakneck speed. When it comes to reporting news, you just might be on the go when you come across news. Capture the news onto your feed while it is still news. You can post your news with your phone or tablet as easily as you do on your desktop or laptop computer. And increasingly it's the case that people opt for tablets rather than owning desktop or laptop computers. About the improved navigation... On the home page, three menu selections send you off into three distinctly different directions. "Explore" lets you learn about RSS feeds and the Enfeedia feed publishing system without having to create an account. "Publish" is your private space for creating feeds and posting/editing items on your feeds, and for viewing your account information; you must log in to your account to enter this space. Finally, "Promote" provide all the tools necessary to promote your feeds ... and as a consequence your website as well. You do not need to log in to use Promote, and that means others can promote your feeds as well. Think search engine optimization, not just communicating your feeds to others. We heard from you that many of our screens carried too much information, that although valuable when learning the system, becomes clutter once you have used the system for awhile. So we've taken this opportunity to streamline the system by moving much of the supporting "help" information from those working screens and put it in pop-up windows. "Help" links you encounter along the way pop open those windows to present helpful information for the content associated with the help links. As always, there is no software to download; we're "in the cloud", and that's where your feeds are hosted. You publish feeds by simply filling out forms, and we do the heavy lifting. If you send and read email, and browse the internet, you have all the skills needed to publish RSS feeds using Enfeedia. Keep in mind the benefits of the NewsPage presentation of your feed, automatically generated by Enfeedia for each feed you publish. It offers means to share the feed and items within the feed on popular social networks. Viewers can also set up email alerts for the feed such that they are notified when new items are posted. And the NewsPage is highly customizable so that you can include information specific to your endeavor ... text, pictures, videos ... to turn your feed-driven NewsPage into a website for search engines to crawl and to capture the interest of viewers who then can click over to your website. Comments, suggestions, or (ugh) bugs to report? Let us know; contact us by clicking the "Contact Us" button at the bottom of the home page. Much of the information is configurable by the publisher, whereas some is derived from the publisher's account and activity. To provide text and upload an image where applicable, the publisher logs into his/her account by clicking the "login" link near the top of the page. As you read the following, keep in mind the SEO benefits of fresh, original, relevant text, images, and videos, as well as networking with other publishers. To follow along, you can open the Hub and Nub side panels for this NewsPage you are currently viewing. The NubThe Nub includes up to four sections, all configurable by the publisher of the feed. The "About Us" section includes text and/or an image pertaining to all feeds in the publisher's Enfeedia account; what is entered in this section for any feed in the account will appear in all NewsPages. The "About This NewsPage" section likewise includes text and/or an image, but in this case, will only appear for this NewsPage; each NewsPage has a unique "About This NewsPage" section. In both cases, the publisher can provide that information and edit it whenever he wants after logging in. For the first time, publishers can upload images to Enfeedia so they do not have to find other places to store their images online. The third section, "Our Videos", is for presenting one or two videos annotated with descriptions. One video/description pair will be shown on all NewsPages for feeds in the publisher's account, whereas the second video/description pair is shown for just this NewsPage. In other words, a different video/description pair can be included for each NewsPage. The fourth section which by default is untitled is for presenting another feed (what is called an "alternate feed" in the original NewsPage design). The title of the section is configurable. The feed to be presented is specified when setting up or editing a feed at the "Set Up Feeds" page of the Enfeedia website. The HubThe "Our Website" section of the Hub simply presents the link to the publisher's website. The name and link are specified by the publisher when opening an Enfeedia account, and can be edited by going to the "My Account" page. There's much more to be said about the FeedBack feature. I'll save that for another posting here. Finally, the "Our Directory" section presents the Directory feed in one's account. The Directory feed is like any other feed, the only thing being special about it is the dedicated name "directory". If a feed is given the reserved name "directory", the feed is shown here. Best practice is to use it to provide references to online assets for this publisher as well as other authoritative publishers relevant to this publisher's website and feeds. Summary ... Whereas the original NewsPage design essentially just displayed a feed (Enfeedia generates a NewsPage for every feed), the new design provides ample opportunity to complement the feed with relevant content -- text, images, videos, additional feeds, and interactive FeedBack comments -- all of which search engines love and reward. YOUR NEWSPAGES HAVE BEEN MOBILE-IZED! And enhanced with a major facelift and new features for your visitors and for SEO. Check out your NewsPage for your feed -- every feed published using Enfeedia comes with its own NewPage -- and witness the exciting new look. Inspired by the tidal-wave shift to smartphones and tablets, we are engaged in a project to entirely redesign Enfeedia to be mobile-friendly with the NewsPage being the first component of Enfeedia to be released in the new format. So view your NewsPage on your mobile device and discover how readable it is on the smaller screen. No more shrinking the NewsPage to fit the screen size requiring zooming and scrolling to view its content. The NewsPage now has four pages: the Home page that displays your feed in totality, the Alerts page for visitors to register for new-posting email alerts, the Subscribe page that tells visitors the various ways they can subscribe to your feed, and the Subscribe page that tells more advanced visitors how to publish links to your feed on their site, even to syndicate your feed. Your NewsPage appears with a default color theme. You can select from 10 color themes (more to be added later) by logging in to the NewsPage (the login link is at the top of the page) using your login credentials for your Enfeedia account. The controls for selecting a theme are presented above the title. Once you find a color theme you like, refresh the page to cause the theme to be saved and used across the pages of your NewsPage. Once logged in, you can also upload an image to appear with the title of your news feed presented on the page. No need to host the image somewhere else. We couldn't resist the temptation to add new features to the NewsPage. They are tucked away in side panels called the "Nub" and the "Hub" and available to premium members. To see what they are about, open the NewsPage for Enfeedia News. Nub is defined as the "point, gist, or heart of something". The NewsPage Nub is where you present information that is central to your website or feed, including text, images, videos, and even a secondary feed. Click the Hub button at the top of the page to slide open the panel and check out the contents. 4) an optional Directory feed. The FeedBack system is worthy of a discussion all its own to fully appreciate the networking and SEO benefits. The Directory feed is a convenient way to link to any other sites "out there" that you feel important to your endeavor you wish visitors to view. It's useful to think of the Hub in terms of airports and air traffic. Consider a NewsPage to be a hub with traffic emanating out to other hubs (other NewsPages) and also connecting destination travelers to local points of interest (the Directory). FeedBack can be thought of as comments from one hub about another. Clicking a NewsPage link in the "Our Other NewsPages" or FeedBack comments in the two FeedBack sections moves one from one hub to another. One can "travel" from one hub to another on an information journey, and return to the original hub, in a sort of round trip. Stay tuned for news about the conversion of the feed posting process to a mobile-friendly format akin to the NewsPage. Also, watch for another post on this feed about the significant SEO benefits of the enhanced NewsPage design: your NewsPage is a webpage in its own right and can appear in search results and can also improve SERP position of sites you link to. FeedBack ( 0) With the recent release of Enfeedia's shootOnSite script, Enfeedia's syndication engine, syndicators can specify titles, links, descriptions sizes in pixels, points and ems, replacing the numeric scale method. The problem with the numeric scale is that various browsers have different interpretations as to what actual size a given number means. To download the shootOnSite script and to get a code snippet -- either a new predefined one or a completely custom on -- that invokes the script, go to "Stylize and Promote Feeds"
FeedBack ( 0) Enfeedia introduces five predefined feed embed scripts with a restructured 'Stylize & Promote Feeds" section to help you get started with embedding feeds into your website. You will find the choices better organized so that you can more easily find the solution you prefer for not just posting active icons or text-links for your feed and NewsPage but also for embedding your feed without going through a multiple choice customization process. Five predefined snippets are offered, with quirky names like Forum Fodder, Blog Blender, Testimonial Tributes, and Future Events and Past Events for Calendar Feeds. You can choose to have items displayed in traditional column format or a row format that simplifies finding space on your webpage for the feed. After some experimentation, you might choose to fully customize your feed display to exploit all the features of Enfeedia's shootOnSite system. To use these predefined snippets, download the latest version of the shootOnSite script at the Stylize & Promote Feeds page and upload it to your website. FeedBack ( 0) With the Jan13 release of its shootOnSite RSS feed reader script and its dbxml RSS feed generation software, Enfeedia announces support for Youtube's latest video embed code snippet based on an iframe, as well as a feature to control presentation of video on iPhones. The shootOnSite script is used to syndicate (embed) Enfeedia-subscribers' news feeds on webpages. The script is uploaded to the website and invoked by an Enfeedia provided code snippet. The result is presentation of the feed controlled by parameters in the code snippet. The dbxml software is used by Enfeedia to generate RSS news feeds from database representations of users' feeds, those representations created when users use Enfeedia to publish their feeds. Because Flash is being abandoned by Apple for mobile devices, in favor of HTML5, YouTube is now offering an iframe-based code snippet to embed its videos in place of its previous Flash-based code snippet. Enfeedia's dbxml software now incorporates that iframe-based snippet. As of today, when uses post items on their feeds that include YouTube videos, the new dbxml software will give them the iframe-based snippet. In fact, every item in their feed will be updated to use the new snippet. One might decide to edit any item in a feed, not actually to make a change, to cause every item with video to be updated. Because of the small screen size of the iPhone and webpage-publishers' discretion as to how much space is given to a syndicated feed, Enfeedia has released the updated version of shootOnSite that, for the iPhone, suppresses the on-page presentation of the YouTube video, substituting a link tha opens the video in YouTube. Publishers are strongly encouraged to upload the Jan13 version of the software, also because of various other improvements. To upload the software, go to "Stylize and Promote Feeds", find the upload mechanism at the bottom of that page. FeedBack ( 0) Here's a super simple way to share a photo on your Enfeedia news feed using the Instagram app. After you snap a photo using Instagram -- and apply effects if you wish -- select "Share Copy URL" under Instagram's "Photo Options" to have the URL for your photo copied to your clipboard. Then, when you post an item pertaining to that photo, simply paste that URL into the appropriate field on the data entry form for your item. FeedBack ( 0) Today Enfeedia announces support of Remote Posting onto Enfeedia feeds published by members at the Publisher-Pro membership or higher. By placing a simple HTML form on your website, you can either permit the general public to post on the feed you specify (e.g., a testimonial feed or discussion forum) or limit who can post to a selected group (e.g., a club or association). In the latter case, the form includes additional password and email fields that the user enters. Or, you can place the form on a password-protected page on your website and not require the user to enter the password and email address in the form. Now you don't need to send people to your Enfeedia account to post new items. To keep things simple, the information that can be posted with this API is limited to the item title, a link for the item title, and the item description (aka article). URL links can be inserted in the description simply by including the full URL. Future releases may expand on what can be included in the posting (e.g., YouTube videos and images); contact us and give us your opinion! But for simple testimonials, discussion forums, clubs and associations and the like, most of the time the title, link, and description will meet the needs. The API is built on the Reporter feature that supports moderation to protect against objectionable postings. That means you can implement posting to a 'public' feed from your website and receive an email when someone -- a 'reporter' -- has posted an item awaiting your approval. Until you approve it, the item will not be posted on the feed. Or you can elect not to moderate, your choice. To learn about this API and get the HTML form code, click here. If you have not yet upgraded to the Publisher-Pro membership, do so now to get the benefit of this feature for your customers and visitors. For example, implement a testimonial feed in about 15 minutes and engage your customers! FeedBack ( 0) Several notices have been published to communicate to those registered for email alerts that the alert system was going to be upgraded to a new system based on Google FeedBurner or MyYahoo, depending on the membership level of the account that posted a new feed item. Over the past few weeks, during this transition period, alerts have been issued using both systems, so if you had already registered with the new system, you were getting duplicate alerts. As of 6/7/2012, the old style alert system will be turned off. Alerts will only be issued with the new system. Click the title of this item to review the original announcement. If you have not registered for alerts for feeds using the new system, you are encouraged to do so now so as not to miss important information. You register for each feed for which you want alerts. It is quick and easy, so there's no reason to procrastinate. Here's how to register: Locate the feed on the website for which you want alerts. For example, there are three feeds on the Enfeedia website, presented about 75% of the way down the home page. You will find a "Set Up Pings (Email Alerts)" link below the last item shown for the feed. Click that link to open a window that provides information about the process. Then click the link in that window to proceed with registration. TAKE ACTION NOW to continue to receive new-postings email alerts! FeedBack ( 0) If you have registered to receive email alerts when new items are posted on one or more of this website feeds, THIS ANNOUNCEMENT IS IMPORTANT TO YOU! An improved alert system managed by Google's FeedBurner application is being phased in, and the current system will be turned off in early June ... in a few days! To make things simple, I've included the FeedBurner registration links below for each of the feeds. Click a feed name below to open the FeedBurner page where you begin the email verification process for that feed. It will only take about a minute of your time for each feed to do this process. Do it for all feeds to not miss a thing. Announcing Enfeedia's Upgraded "Email Notification System"
FeedBack ( 0) One of the most important features of RSS technology is the ability to be notified by email when items are posted on a feed. Why? So that you don't have to incessantly search websites to find out what's new. With an RSS news feed, what's new is delivered to your in-basket if you are registered for email alerts for that feed. Enfeedia has previously employed an internally developed "ping" email system whereby those email alerts are delivered to those registered for alerts. Today, Enfeedia is introducing a two-pronged alert system using industrial-strength "email notification systems" (ENS) offered by Google Feedburner (for premium memberships) and My Yahoo (for the free Communicator memberships). At Enfeedia, we wish to remain focused on what we do best: offering an easy and well-featured system for publishing RSS feeds, for novices and experts alike. Just like we don't wish to be a video or photo sharing service, notwithstanding the importance of video and photos embedded in feeds, we likewise don't wish to divert our focus to support email notification system when fine solutions are available elsewhere. So, just as we support YouTube, Vimeo, and Flickr for video and photo sharing, we are now supporting the ENS of Google Feedburner and Yahoo. We will phase out the existing Enfeedia email notification system around the beginning of June, 2012. Beginning today, anyone registering for alerts will be directed to either My Yahoo or Google Feedburner depending on the membership level of the feed publisher. Those already registered for alerts using the previous alert system will continue to receive those alerts until phase-out. Enfeedia will issue an email to all those registered for alerts with the previous system to encourage them to re-register, including instructions on how to do so, so as not to lose alerts after phase-out. We will continue to use the term "ping" to indicate email alerts, regardless of which system is used. "Set Up Pings" will direct the user to the appropriate service. The registration process for Google Feedburner is similar to what we previously employed, amounting to nothing more than a simple email verification process. Give it a try: Register now! New OFFLINE feature: Take items temporarily offline. But why? FeedBack ( 1) Now you can take any of your feed items offline by simply adding *offline* in the title (including the asterisks). When you want to bring it back online, simply remove *offline* from the title, and the item will re-appear unmodified. But why would you want to take an item offline? The inspiration came as an offspring of offering freelance items on your feed for advertisers. To grant an item to a freelancer/advertiser, the account owner first has to create a "place saver" item in order to specify a freelance password -- the password the advertiser uses to gain access to just that item. But it's not so cool to have the place saver item hanging out in your feed waiting for the advertiser to post something. The solution is to add *offline* to the place saver item title, and when the advertiser posts his/her item using the Re-Post function, their item will go online (unless they decide to include *offline* in the title). When an item is offline, it will not be displayed either on a website when syndicated there using Enfeedia's shootOnSite script, nor will it appear in the NewsPage for that news feed. The item is preserved on the feed, and in fact will appear in the xml version of the feed (because others do not support an offline feature). The offline feature is not limited to freelance items. It can be used for any kind of feed hosted by Enfeedia. For example, you may wish to be composing an item for publication but not yet have it appear on your website, or perhaps want to prepare a calendar item but want to defer its public appearance until the date draws near. Simply keep *offline* in the title until it's ready for prime time. The offline feature is available now (or I would have included *offline* in its title) and is available at all membership levels. FeedBack ( 0) In Part 2, I show how you can make money by "consigning" one or more items in your feed to advertisers -- anyone who is willing to pay you money to have their message commingle with your feed items, and to be able to update their message whenever they want, as often as they want. It's based on the unique Freelance feature of Enfeedia. Here's how: Create a "place-saver" item (e.g., "coming soon...") item on your feed and assign to it a Freelance Password. Provide that password to the advertiser in return for whatever payment or consideration you want, and send them instructions on how to post their message (to replace the place-saver message). Your advertiser simply clicks the shootOnSite link associated with the feed, enters the freelance password you gave them, and then proceed to fill out the form, just like you do to post an news item, to post their message. Freelancers, and therefore your advertiser, is denied some of the features of Enfeedia for security so you need not worry about what they can do when logged in to post their message. Should the number of items in your feed be the limit for your membership level when you attempt to add another item, the auto-deletion feature (of the oldest item) excludes deletion of freelance items. So the advertisers' items don't fall of the end of the feed as your feed grows in terms of the number of items. The Freelance feature is supported at the Publisher-Pro membership level. FeedBack ( 1) Now people who are not members of Enfeedia can post FeedBack comments on items (for feeds that the feed owner has enabled FeedBack). A simple email validation process is required to gain permission to post comments. The poster can include an alias that will appear with the comment or choose not to in which case the comment will be shown as posted by "anonymous". Members, enable your feeds for FeedBack comments today to engage readers in conversations about your posted items. The more involved readers are with your feed, the more likely they are to check out your business or endeavor more closely. And just as the case for Enfeedia members posting comments, you can delete objectionable comments whether the poster includes an alias or posts anonymously. FeedBack ( 1) Every member now enjoys the benefit of his/her individual Hub. The Hub is the member's central location for important connections on the internet. A Hub is a webpage dedicated to an account for a member that (1) lists all feeds in the account, (2) lists all Enfeedia-hosted feeds that the member is tracking using Ping email alerts, (3) lists all feed items for Enfeedia-hosted feeds for which this member has posted a FeedBack comment, and (4) displays the member's "directory" feed, also a new feature of Enfeedia. The listings also include some tools that are useful to visitors to the Hub for reading a feed, subscribing to a feed, setting up Ping email alerts, and syndicating a feed. How is one's Hub found by others? (2) If one posts a FeedBack comment on any feed hosted by Enfeedia that has FeedBack enabled, the comment is preceded by one's account name which is a link to the Hub for the commenter's account. What's cool about this is that others who are engaged in a discussion about an item will see those links associated with the comments and perhaps click over to a Hub to learn about a person posting a comment. And in your Hub, you will see a line for each item you posted a comment in, with a "Read" button that will display the item including all comments for that item. (3) Effective today, every feed NewsPage now includes a link to the account Hub for that feed. The link is located just below the "See Also" link that some of you are using with effect. So you can see that the more you promote your feed, the more others will encounter that link and perhaps click over to your Hub. (4) You can put a link on your website to your Hub. The address for your Hub is the same as the address for your feed but with the feed name excluded. For example, if your feed address is www.enfeedia.com/see/MY_ACCOUNT/MY_FEED.xml the address for your Hub is www.enfeedia.com/see/MY_ACCOUNT/ . (5) You can promote your Hub in any of the feeds you publish. (6) You can promote your Hub in your email signature with a live link to your Hub. Why do you care if someone visits your Hub? Two good reasons: First, the visitor will see your list of feeds in your Hub. The visitor may choose to explore your feeds and get involved with your endeavor. Second, the visitor will see your "directory" feed which, being a standard feed, can be anything you want. You can post ads, links to various websites you may publish or websites of others that you like and for which you perhaps get some return favors, to online images and videos. Items in your directory feed can include images and videos if you are at least a Publisher premium member (which you can get at reduced rates, even free). Please note that the feed name "directory" is reserved for this purpose, for automatically displaying the in the Hub (i.e., syndicated in the Hub). So, create a "directory" feed as you would any other feed, and see it appear in your Hub. Take a look at your Hub today to see how it is constructed. Here are a couple of examples from two of our members: www.enfeedia.com/see/carolmurrayrealestate/ and www.enfeedia.com/see/goldmountain/ . Check them out! FeedBack ( 0) In Part 1, I show how to make money from your feed NewsPage by configuring your NewsPage to present Google ads with the Google AdSense program ... that pay to you! You must have at least an Enfeedia Publisher premium membership but check out how you can get a free Publisher account. Until today, you had to have an Enterprise membership to embed your Adsense ads. (1) Open an AdSense account with Google. Follow their process as if you intend to get the code for installing Google ads on you website. Don't concern yourself with the ad format or any other details, you just want to get your Adsense account code. That's all you need. (2) Then, edit your feed (go to "Set Up Feeds"), and locate the place on the data entry form where you enter the Google Adsense account code; it will be in the NEWSPAGE SIDEBAR CONTENTS section towards the bottom of the form. Enter the account code in the place provided. You're done. (1) Include a text-link on your website to your feed NewsPage. Click here to get the text-link code for your feed. (2) Include a text-link in your email signature so that every time you send email, you are also telling the recipient about your NewsPage. Use the same text-link code as for (1) above. (3) Share your NewsPage on Facebook or other social networking site. Here's how: Open your NewsPage, then use any of the social network buttons across the top or associated with any in your feed. Include an interesting comment for your readers about what you are sharing, and submit it. FeedBack ( 4) We are making preparations to introduce our Enfeedia Associates program. The concept is driven by the observation that people come to the Enfeedia website to investigate the application of RSS feeds to their online marketing program, to promote their ventures and endeavors. RSS feeds are indeed a powerful element of such marketing programs, but of course there are other elements that comprise an overall effective solution. We also recognize that our members may lack the full range of skills and knowledge necessary to maximize the effectiveness of their online presence. Therefore we have decided to incorporate into the Enfeedia website articles from experts in a wide range of speciality areas pertaining to effective online publishing. Typically those articles will be tips and 'how-to' advice that Enfeedia members will find useful, and will also present our members with points of contact with those experts should they wish to directly engage them in their online communications endeavors. The areas of expertise include, but are not limited to, website design, search engine optimization, video production and presentation, copy development and editing, social networking, press releases, graphic art design, and photo image processing. Enfeedia Associates will be Enfeedia 'Freelance' writers who will each be provided a spot on one of several RSS feeds that will appear at strategic places on the Enfeedia website. As such, they will be able to publish articles whenever and as often as they want, taking advantage of all the features of Enfeedia-hosted RSS feeds. We are now accepting requests to join the Enfeedia Associates program. If your organization provides services that facilitate and enhance online communications, then contact us so we may evaluate your organization for the program; please include your website URL. If you know of an organization -- perhaps one with whom you are already working -- that might benefit from becoming an Enfeedia Associate, please pass this message to them and/or refer them to us. I think they will appreciate your recommendation. Your help in developing the Enfeedia Associates program to benefit all of our members as well as casual site visitors considering membership is appreciated. Your comments and suggestions are also appreciated, so feel free to leave FeedBack comments for this news item (click the FeedBack link). If you are not currently an Enfeedia member, why not take this opportunity to sign up (for FREE) and enjoy the benefits of RSS feed publishing. Visit our website! FeedBack ( 0) Learn how to get a FREE Publisher membership by posting on your home page an RSS icon with text-link for the Enfeedia news feed. REDUCED PRICE FOR "ANNUAL" PREMIUM MEMBERSHIPS! Similar reductions in other premium membership rates also apply. This offer is for a limited time and may be withdrawn without notice, so act now! Enfeedia-published RSS feed + attached reader comments = interactive blogging: Introducing Enfeedia's new FeedBack feature. FeedBack ( 3) With our new FeedBack feature, you can enable the posting of comments for feed items. A FeedBack Channel is dedicated to each item with the comments presentation one click away. Embedded at the beginning of each item description is a "FeedBack" link that opens a NewsPage showing just that specific item followed by a tool for posting comments and all previously posted comments. For an example, check out the NewsPage for Enfeedia's "Tips" feed for which FeedBack has been enabled. Now you can more thoroughly engage your viewers and keep them comin' back. There is widespread agreement that blogging is a very strong tool to bring your business to the attention of others whom you can convert into followers or customers with your call to action. When a person posts a FeedBack comment, (s)he is rewarded with a text-link posted with that comment that connects others to the comment posters Enfeedia feed directory where others can learn about him/her. Consider the viral benefits of posting FeedBack comments. When you publish your RSS feed with Enfeedia, you are just a few steps away from integrating your blog into your website. Whether you use the previously announced BlogBlender tool to display recent postings or just install an RSS icon on your site that when clicked opens your blog in the browser or in your NewsPage, your blog can be front-and-center on your home page, or of course anywhere you want to install it on your site. Consider posting FeedBack comments for your own items to update readers on what's transpired since your item was posted, and perhaps to stir up conversation that will motivate folks to stay engaged with your endeavor. WIth the RSS feed being the engine that produces the blog, you can get all the benefits of RSS in spreading the word. People can subscribe to your blog using any of a myriad of feed readers including browsers, they can register for email alerts to be notified when you post new items, they can simply bookmark your Enfeedia-published NewsPage that contains your blog. Your blog can be syndicated anywhere for more exposure ... with the FeedBack comments always just one click away. By the way, your NewsPage is indexed by search engines such that it can appear in search engine results pages. Have a facebook account? Use an app such as RSS Graffiti to automatically post items -- blog posts -- on your facebook Wall and/or on any of your Pages. Again, with the FeedBack Channels one click away to engage your facebook friends. When one posts a FeedBack comment, it immediately appears with all instantiations of the blog. So if, for example, one posts a comment on your item appearing on your Facebook Wall, it will also show on your website, in feed readers ... wherever your feed appears. FeedBack requires a Publisher membership. Log into your Enfeedia account and upgrade today (at My Account) to leverage all the benefits of publishing RSS feeds. FeedBack ( 0) Why bury your blog in an interior page of your website, or worse, send your hard-earned site visitors off to some blog hosting site instead of keeping them on your site? Instead, immerse your site visitors into your story and captivate them when they land on your home page. Did you know search engines know how long a visitor stays on a webpage they found from an internet search and give your website more "search value" for the search term they used? Why thumb through template after template for your blog trying to find one that coordinates with your website design? Instead, give your blog the exact look-and-feel of your website that you carefully designed, because it "inherits" that design. Why ignore the SEO benefits to your website by failing to incorporate your blog onto your home page? Instead, blend your Enfeedia-hosted feed-driven blog onto your home page such that your blog contents are crawled and indexed by search engines. Did you know search engines love fresh content and RSS feeds? With Enfeedia, your RSS feed is the underlying driver of your blog. Whenever you post a new item on your blog feed, your webpage hosting the feed is automatically updated. BlogBlender is simply an Enfeedia-supplied pre-defined code snippet you insert in your home page (or any page) that invokes the Enfeedia shootOnSite RSS Feed Reader script. Working together, they present your blog feed on your webpage just as if they were hard-coded there. Two code snippets are provided, one that presents your blog items in the traditional vertical column format, the other presents those items in a horizontal row format. The horizontal format is especially convenient for website designs where it's difficult to carve out a vertical column of space. These code snippets are NewsOnSite snippets that have pre-defined variables providing the best blending of your blog feed into your webpage. If you wish, you can customize them to achieve other effects. If so, go to "Stylize & Promote Feeds" at Enfeedia and make your option choices. Once you have opened an Enfeedia account for any membership level and published your blog feed, you are only four steps away from presenting your blog on your website. (1) Go to "Stylize & Promote Feeds" to select your BlogBlender code snippet and (2) to download the shootOnSite script. (3) Insert the code snippet into your webpage. (4) Then simply upload your BlogBlended webpage and the shootOnSite script to your server. Detailed instructions are provided at "Stylize & Promote Feeds". FeedBack ( 0) Enfeedia announces new lower rates for the the Publisher and Publisher-Pro premium memberships effective today, October 26, 2011. The Publisher membership rate has been reduced 60%, from $10 to just $3.99 per month. The Publisher-Pro membership monthly rate has been cut 55%, from $15 to $7.99. The Communicator membership remains intact and is an incredible bargain at the price of zero. Key features of the Publisher membership include easy embedding of YouTube and Vimeo videos directly into your feed items, gallery link-back for Flickr-hosted images embedded in feed items, a random item-selection feature for SEO benefits, elimination of ads from your NewsPages, 'editor' and 'reporter' collaborative posting, 'calendar' and 'subchannel' feeds, three additional feeds for a total of five, raising the maximum number of items per feed from 20 to 50, and doubling the maximum length of item descriptions (the 'article') from 4,000 to 8,000 characters. Key features for the Publisher-Pro include all the features of the Publisher membership plus 'freelance' posting with auto-logging for item allocation to others, a headline feed for a summary listing of items from other feeds in your account, a Google search tool for drawing viewers to your website, insertion of PayPal buy-now buttons directly in feed items, private (members-only) password protected feed items, doubling of the number of feeds and items per feed vis-a-vis the Publisher membership (10 and 100 respectively), and raising the length of descriptions another 50% over the Publisher membership (from 8,000 to 12,000 character). For details regarding these and all features, see Features. For a convenient comparison of all features as a function of membership level, see Memberships. Now embed Vimeo videos into your feed items, in addition to YouTube. FeedBack ( 0) You can now embed your Vimeo video directly into your feed item. All you have to do is paste in the URL for the video (the URL that shows in the address bar of your browser when viewing the desired video in Vimeo) when entering your item information. It shares the same entry box with YouTube. Here's how it looks; video by Bran Dougherty-Johnson title "Happiness". FeedBack ( 0) Here's a simple way to get a complete overview of the Enfeedia news feed publishing service: "All About Enfeedia", now playing on the Enfeedia home page. Whether you are just a beginner or wanting to brush up on features and benefits of the service, you'll find this short video very helpful. (1) Fetch the shootOnSite script from the Enfeedia server by going to enfeedia.com/promote-news.php and clicking the "Download File" button near the bottom of the page. Then upload the script to your server (place it in the same folder that holds the webpage file). Do not change the filename of the script. (2) Insert a code snippet on your webpage at a place where you want the feed to appear, then upload your revised page to your server. Click here to get that code snippet. Copy all of it and paste it into your webpage code. The number of items displayed, the length of the item descriptions, and some other parameters are set to default value for this demo. In practice, you have control over a variety of parameters affecting what's presented and the appearance of what's presented. FeedBack ( 0) Previously, you needed to use your Account Name to log into your Enfeedia account. It seems that generally, people easily remember their email address and password but some have difficulty remembering their Account Name. No matter, now you can use your email address in lieu of your Account Name to sign in. FeedBack ( 0) Have you ever wanted to write up a feed item for later publication because you have the information at hand now and want to do it while the idea is fresh? Have you wanted to recycle items for events that recur, even with differing details (seminars, product specials, etc)? Have you wished you could create a repository of feed items for various events or promotions and then release them, perhaps with revisions, when the time is right? Have you wanted to draft a complicated item and preview it without publishing until you get it exactly right? Then you will like this new RSS feed publishing feature from Enfeedia. Effectively immediately, you can build your own respository for stashing feed items simply by naming the feed "library". That's all you have to do. A feed with that name is not published, but the contents are stored in the Enfeedia database. You can review, edit, add items just like any other feed. When you decide to use one of the saved items, simply edit the item in the library feed (even if no changes are to be made), and after you submit it, take advantage of the opportunity to copy the item to another feed in your account -- or even other accounts for which you were provided an "editor" password. Specify the desired feed, and it will be added to that feed, and the item instantly published on that feed. In similar fashion, if you find that you previously posted an item that you would like to add to your library for re-use at a later time, simply edit that feed, making changes if you wish, and copy it to your library feed. In effect, you can think of your library feed as a scratchpad or cache for feed items, organized as a feed. But not published. Organize your long term promotion programs, your various seminars, your investment advice newsletter, your product upgrade announcements, and so on, as a project. Then, as time passes, select the items from your library, update them if conditions warrant, and let 'em rip out to the public in one of your feeds. FeedBack ( 0) Previously, when you syndicated (embedded) a news feed on your website, although you are given a considerable number of parameters to control that display, you were not able to specify that the items should appear horizontally across the page in addition to their vertical layout. Now that’s changed. When you get your code snippet at Enfeedia (click "Stylize & Promote Feeds"), you will find you now can choose between vertical and horizontal layout of items on the page. What’s the big deal? It turns out that Enfeedia members often find that it’s easier to add a horizontal space across their website than a vertical column without considerable rework of the page design. If nothing else, it’s a piece of cake to present the feed in a horizontal band across the bottom of the page. Better yet, find a break in the page more near the middle and insert it there for more eyeballs. FeedBack ( 0) Until today, the number of items present on the unique Enfeedia NewsPage was the complete feed -- all items -- unlike displaying a feed on a webpage where you select the number of items to present. With the update to the ShootOnSite scripts released today, you can now control how many items in a feed to display on any NewsPage. This feature is particularly useful for feeds with many items posted where one doesn't want to delete those "old" items but wishes to display only the more current items, if for no other reason, to save page loading time. Also, you can specify whether the items displayed are selected based on chronology or selected at random from all items in the feed; this feature is like the random selection feature recently released for feeds displayed OnSite. We've heard from members who would like to create large galleries of items but present a subset of them randomly selected. Note that the XML feed file includes all the item such that non-Enfeedia readers and aggregators will show all items. Of course, all items remain in the Enfeedia database and are available for editing, reposting, etc. One could decide to implement a plan where items not currently being shown are re-posted to gain the top positions and thereby appear on the NewsPage, pushing other items off the page, for the purpose of "rotating' items based on seasons, events, sales, etc. To make your selections, go to Stylize & Promote Feeds and navigate to Stylize Your NewsPage; you will see two entries to control these features. FeedBack ( 0) UPDATE: Now you can specify how many items you want selected at random, and can use this feature with either the Remote or Local version of the shootOnSite script. The previous announcement below has been edited to reflect this improvement. Usually RSS feeds are used to announce news. Showing news items in chronological order makes sense, so that what the viewer sees is the most recently posted news. When feeds are used for news items, often only the most recently posted half dozen items are of interest, the older ones now being old news. But there are important applications of feeds for items which need not be shown in chronological order by posting date and for which all items in the feed maintain their value because they are not time sensitive. Applications include using feeds for art or photo galleries, for publishing reports such as investment and health tips, for promoting music, and so on. The question then arises of how to give all items "equal time" when syndicated on a webpage -- your's or other's. If many items are posted on the feed, showing all the items may not be practical because of space limitations on the webpage. To address this issue, Enfeedia now offers a Random Item Selection feature wherein one or more items of the feed can be selected at random and displayed whenever the webpage syndicating the feed is opened. Space on the webpage is just that needed for one item. Viewers of the feed, if interested in what they see, can click on the round RSS button to open the feed in a NewsPage and view all items in the feed. Here's how to implement this feature. Proceed to get the embedding code, as usual, by clicking the Stylize & Promote Feeds link. Follow the instructions to get code snippet for the Remote NewsOnSite version. In the list of options, you will now find one for Random Item Selection. Or if you have already installed the code snippet on your site, you can simply add, for example, &GUID=-1 (notice the minus sign after the equals sign!) to the code immediately ahead of the closing "); code. The example shows selecting one item at random; change the -1 to correspond to the number of items you want selected (e.g., for 5 items, use -5). Insert the code snippet onto your website as usual. You're done. One more thing. Those of you who are familiar with SEO techniques know that search engines favor websites that have fresh content. Because, with this feature, items are selected at random for presentation each time the page is opened, search engines are highly likely to see different item(s) each time they crawl the page, interpreting the new item(s) as fresh content. Your webpage in which the feed is syndicated will get the benefit of that fresh content. FeedBack ( 0) WIth the addition of the Top 100 feed directory, search engines will now index the feeds and pass "page rank juice" to the feeds from Enfeedia. The inbound link from Enfeedia to the feed's NewsPage will help to move the NewsPage webpage higher in SERP (search engine results pages) which in turn will bring more traffic to the feed. The Top 100 are determined by a number of parameters, but basically, it's a matter of frequency and recency of postings onto the feed. To ensure your feed stays on the list, be sure to post items on your feed from time to time ... but make sure they are quality items having relevancy to your feed topic and interest to your viewers. Enfeedia's developer is now sponsoring a LinkedIn Group, "RSS-Centric Marketing"
FeedBack ( 0) Join the new "RSS-Centric Marketing" group on LinkedIn either to participate or just listen in. You can learn new ideas about RSS and surprise yourself by teaching others about what you already know. Two discussions have been started. Or start your own discussion. Do you have a special feature requirement for your feeds you'd like to see in Enfeedia? FeedBack ( 0) Enfeedia is now entertaining requests for custom and proprietary features. Our feed publishing architecture provides a number of opportunities for implementing custom features. Contact us with your ideas! What is RSS? Why is it important? How does Enfeedia help? Let Nancy tell you in the playful "Nancy Does RSS" video series. FeedBack ( 0) As a result of requests for simplified explanations of RSS -- what it is, why it is important -- and how Enfeedia is the easy way to publish RSS feeds to exploit the benefits of RSS, Enfeedia has produced the first three episodes of a video series, "Nancy Does RSS", a playful 'cartoon version' of RSS and Enfeedia. The next episode will present the basics of promoting RSS feeds using tools provided by Enfeedia. Additional episodes are planned to delve into the more advanced features of Enfeedia and search engine optimization. Naturally, the series is being provided on a new Enfeedia feed, "nancydoesrss". You can also view the series on our YouTube channel. ENJOY! And may you have a Happy and Prosperous New Year! FeedBack ( 0) If you choose the option to have a facebook 'share' button associated with each item in your feed, you now also get the StumbleUpon icon that provides the ability to recommend the that item to other subscribers of StumbleUpon. It's always been possible to recommend the entire NewsPage to StumbleUpon subscribers, but now individual items within that NewsPage can be recommended. When the icon is clicked revealing the item, one can then go on to share the item with others. FeedBack ( 0) The maximum size of the Description for feed items has been vastly increased for premium memberships. The size for the basic membership remains at 4000 characters, but has been increased for the Publisher, Publisher-Pro, and Enfeediac memberships to 8000, 12000, and 16000 respectively. With this expansion of the Description field, it is now possible to include long articles that in the past would have required you to upload it as a PDF file to a server as a separate document and then have your item link to it. FeedBack ( 0) Enfeedia now integrates a tool that makes it simple to display a picture from your Flickr gallery as your item image. Simple copy the HTML code provided by Flickr for the picture of your choice and paste the code into the appropriate box on the entry form. Online instructions are provided where you post the item. Enfeedia extracts from the Flickr provided code (1) the URL (address) for the image and (2) the URL for Flickr webpage where that image is displayed; that URL becomes the link for your image. Thus, using this tool, you comply with this Flickr Community Guidelines condition: "pages on other websites that display content hosted on flickr.com must provide a link from each photo or video back to its page on Flickr." As background, any image you wish to include with a feed item must be online somewhere. At Enfeedia, we have chosen not to be a photo storage/sharing site but instead recommend you use one of the many fine photo sharing sites that already exist. Flickr is an excellent choice as it is well know that, among photo sharing sites, it is far ahead of others in driving traffic to websites, just as YouTube is far ahead of other video sharing sites in driving traffic to websites. FeedBack ( 0) The free Enfeedia membership now includes the feature of Facebook 'Share' buttons on individual news feed items shown on NewsPages. Clicking the Share button provides the ability for a Facebook user to post a comment, with a link to your news item, on the user's Facebook Profile ("Wall"). That action further results in that comment being published on the Facebook activity feeds ("News Feed") for that user's friends and friends-of-friends. Additionally, selection of this feature also includes a 'Like' button at the top of your NewsPage that lets Facebook users tell other Facebook users they like your overall NewsPage. Imagine the additional promotional capability of Enfeedia's RSS publishing system given the ability for viewers of your feed to share your items with their friends and friends-of-friends, and the additional promotion when they in turn decide to "like" the feed item. To add Share buttons to your news feed items and a Like button to your NewsPage, simply edit your feed (go to Set Up Feeds) and enable the feature in the data entry form. FeedBack ( 0) Following on the heels of the announcement of provision of a 'Calendar Feed' type, Enfeedia now announces avaiability of its 'Subchannel Feed' type. The Subchannel feed type derives its name as an extension of RSS feeds often being referred to as 'Channels'. With a subchannel feed, you can group items in your feed by categories that you assign when posting items onto the feed. Using Enfeedia's 'shootOnSite' feed reader and Enfeedia's 'NewsPage' mini-website feed reader, the items are presented within their respective categories under caterogy tities, and presented in reverse posting order within those groupings just like a standard news feed. Read this item on our 'Tips' feed to learn more about this new feature and compare it to standard feeds and Calendar feeds. FeedBack ( 0) Traditionally RSS feeds present items in the order in which they are published. That's perfect for breaking news, but is awkward when feeds are used for calendar driven events -- meetings, recreational events, seminars, entertainment events, and so on -- for which viewers of the feed would like to see the items in order of the event date, not the posting date. Moreover, the items should be posted in chronological order, not reverse chronological order as is the case for traditional feeds, such that the "top" item is the next upcoming event, and items below that in the feed are events going off into the future. By marking a feed as a "Calendar Feed", Enfeedia re-sequences your postings according to the event date (and optionally time) that you specify, no matter when you post an item onto the feed. The event date is separate from the posting date for items, so users can also view the feed sorted by posting date if they wish. Additionally, you can optionally direct Enfeedia to present your Calendar feed on Enfeedia's "NewsPage" feed reader to display both "upcoming events" sorted chronologically as described above, and in another column, display "past events" in reverse chronological order so that you view the most recent past event at the top of the feed. This two-column presentation is ideal for events that include some follow-up action, such as for upcoming meeting announcements coupled with meeting minutes subsequently published. As time goes by, Enfeedia automatically moves items from the "upcoming events" column to the "past events". Click here for an example. And as always with Enfeedia, people can register for "ping" email such that they receive automatic notification whenever you post an item on your feed. FeedBack ( 0) Effectively immediately, you can elect to have a Facebook Like button with the thumbs-up graphic automatically inserted on your NewsPage, just above your Title. The address of your NewsPage is associated with the button such that when one clicks the button, they report to all their Facebook friends that they like your RSS feed. That can bring more traffic to your NewsPage. If you write interesting or entertaining feeds, they may then elect to follow your feed by registering for pings, such that they get automatically generated email alerting them whenever you post new items. That email includes a link to your NewsPage. FeedBack ( 0) Making Enfeedia even easier to use, now you can login directly to your feed from a browser bookmark that is specific to your account and a predetermined feed. When you click the bookmark, the login page opens for that feed. Login to open the page for adding and editing the feed. And once in your account, you can select other feeds as well. So now, when are are surfing the 'net and come across something you'd like to mention on your feed, simply click the bookmark, click "add", and enter the information on the form Enfeedia presents to you. It's easy to set up the bookmark; here's how. Click the "shootOnSite" link associated with the desired feed. The page that open is the login page for that feed. Bookmark it and you're done. As a reminder, you will find that "shootOnSite" link at the bottom of your news feed when displayed on your site, and at the top of the feed's NewsPage that is presented when you click the red-and-green "E" icon associated with the desired feed. FeedBack ( 0) Prior to this enhancement, Freelancers were not permitted to change the value in the "Category" field of the RSS feed. The feed owner could lock down the category value, giving the owner control over on-site displays using filters. WIth this change, the Freelancer can add words to the category, with those words being appended to what the feed owner specified. This provides the feed owner to further filter the on-site feed display to select only those items that match the Freelancer's addition. For example, if a Freelancer is assigned to a spot on a feed pertaining to real estate, the Freelancer could include the MLS number for the home being descreibed in the Category field. The feed owner could display the feed on site in a place where that home is described, and display the feed item only for that home, using the filtering feature, so only that home in the feed appears at that spot on the website. FeedBack ( 0) Following on the announcement of the Ping feature, Enfeedia announces the availability of code snippets to display a +PING button on your website. When the +PING button is clicked, a screen is opened to provide the ability to register for ping email when new items are posted on the feed associated with that +PING button. The screen that opens is the same one that open when the "Set Up Pings" link at the top of the NewsPage is clicked. For an example, see the top of the Enfeedia home page. You will find the +PING button under the Painless Tutorial link. To get the code snippet for the +PING button, go to Stylize & Promote Feeds and follow the on-screen instructions. FeedBack ( 0) Enfeedia introduces the 'Dateline' feature to items posted by Freelance writers. Dateline is a term used within the newspaper industry to indicate the location origin of the story (e.g., Washington) but no longer actually includes date or time information. The dateline will appear at the beginning of the news item description (e.g., "WASHINGTON - The president signed into law today a bill that..."). A significant value of the dateline is offering the owner of the feed containing freelance postings the ability to include a distinctive label for each freelancer's postings. For example, if the theme of a feed is travel destinations, and if freelance writers are assigned to various destinations, the dateline can be used to indicate that travel destination without imposing on the freelancer some convention on the postings to provide that indication. Similarly, if the theme is investments, the dateline could indicate "stocks", "bonds", "real estate" and so on, with a freelance writer assigned to each investment topic. For an example of the use of datelines, see Vacation Rentals In The News. FeedBack ( 0) You can know experiment with posting and editing items onto a "demo" feed by going to Enfeedia's Sandbox. Instructions are provided. Give it a try! FeedBack ( 0) If you browse to readafeed.com, you will enter Enfeedia in 'lite' mode. This mode provides a streamlined way to read a feed only knowing the account name. You will be given a list of feeds in that account if the account isn't unlisted. Or if it is unlisted, you can enter the feed name directly. Once the NewsPage for the selected feed is displayed using this lite mode, you can edit it (add items, edit items, delete items) in a more streamlined fashion by clicking the shootOnSite link at the upper left of the NewsPage. For lite mode, the assumption is made you already have some experience using Enfeedia, because much of the explanatory information is removed in lite mode. However, even with very little experience using Enfeedia, you will find using lite mode pretty obvious. The streamlined format of ReadAFeed is especially convenient for cell phone access to Enfeedia for posting items and reading feeds, because of the reduced text and narrow screen format appropriate for call phone viewing. Give it a try with your free account. FeedBack ( 0) Previously, a Gazette webpage tended to be targeted at public newsletter or bulletin board type applications. Enfeedia has now released an upgrade to the Gazette -- and renamed the feature "Snippets" -- that provides for secure (password-protected) communications among organizations of any kind wishing to benefit from RSS technology without publishing their information publicly. Consider corporate inter-department communications, project management organizations, dispersed sales forces, and family communications. To make your Snippets page private, upgrade your membership to the Enfeediac level, then go to "About My Account" and specify a Privacy Password. FeedBack ( 0) Now you can have your latest Enfeedia feed posting be automatically posted on your Twitter account. The Tweet comprises your feed title and link. Let your friends, family and associates know so they can follow your message stream. If you have an enterprise or endeavor for which timely information is critical, encourage other to open a Twitter account and follow you! Interested in trying this out? Contact us for more information. FeedBack ( 0) Now you can post your items faster and easier with the "shootOnsite" link to a special Enfeedia log-in screen. Feeds displayed on-site and in the NewsPage format include a shootOnSite text link that when clicked, opens a simple login window for adding items to your feed. All you need to remember is your password. So when you are viewing your website, you are just a few clicks away from adding a news item. FeedBack ( 0) Beginning to day, a list of featured feeds is presented on the Enfeedia home page. Inclusion in the list is based on a combination of criteria including posting frequency. Benefits to the feed publishers include additional exposure for their enterprises as well as improved search engine page ranking. Category Filter feature added to provide enhanced control over news feed on-site display. FeedBack ( 0) With the new category filter feature, items in a feed can be selectively displayed. The feed publisher can enter target words into the feed category field (a standard field on all RSS feeds) when adding or editing a feed item. Using Enfeedia's shootOnSite script for displaying the feed on a website, filters can be specified which are compared to the target words in the category field. Only items having a target word matching the filter are displayed. Two filters are available. If both are specified, both must match target words for an item to be displayed. As an example, consider a feed which presents news for cities in various states. The category for each item can contain the city and state names (using underscores to connect multi-word names). By specify a state name filter with the shootOnSite script, only items pertaining to that state will be displayed. If the second filter specifies a city name, then only items pertaining that city in that state will be displayed. FeedBack ( 0) Try the FREE Communicator membership. Then graduate to one of the highly featured membership levels that make Enfeedia the most powerful RSS ONLINE PUBLISHING SYSTEM (tm) available. Publish photo galleries using categories for ease in locating items. Add site search tools to your feed items. Exploit collaborative posting with Editor and Reporter modes, including moderation. Embed PayPal purchase buttons to your items. Publish a "Headline" feed that captures and aggregates your postings made to other feeds in your account. Implement an automated "item rental" business to advertisers for profit. Add Google ads (Adsense) to your dedicated NewsPage, that pay to your Google account. Password protect selected items for members-only applications -- great for publishing an online for-fee newsletter when combined with the PayPal tools. Publish a multi-feed "gazette" with ease. Display your feed items directly on your site for site visitors and search engines. So get started now with this powerful promotional tool, and let us know what creative applications you've found for Enfeedia! FeedBack ( 0) With the Publisher-Pro membership, you can now add a PayPal "Add-To-Cart" purchase button to any items in your RSS feed. Go to PayPal to create the button -- specifying your merchandise, purchase price, etc -- then get your button code from PayPal. Simply copy the "value" number associated with the "hosted button id" within that code and enter it with your item posting. The button will appear in your feed offering your audience a method to purchase the item, using their PayPal account or a credit card without even having a PayPal account. FeedBack ( 0) WIth the latest update of Enfeedia, feed publishers can now specify that a "Contact Feed Owner" button be posted on the NewsPage, just below the feed title. Upon clicking it, a form opens for the site visitor to write an email message and have it sent to the Account Owner's email address. The email address is kept out of view of spammers who harvest email addresses from websites. Check out our feed as an example. FeedBack ( 0) Enfeedia offers multiple ways people can collaborate to write items for feeds. The Account Owner can of course post items. And the Account Owner can provide for an Editor or Reporters to post items onto a feed using special passwords. Enfeedia now supports optional moderation of Reporter postings onto feeds. If moderation is selected for a feed, any item posted to that feed by the Reporter is captured but not inserted into the feed until approved. This editorial oversight feature provides the ability for the Account Owner to review the Reporter's posting prior to it going online, either directly or by delegating that oversight authority to an Editor. FeedBack ( 0) If you've been caught between wanting a large image embedded in your feed item description and the impact of load time of the page showing that image, you now have a solution. With the Image OnSite Display Suppression feature, you can include a large image with your description but cause a camera icon to be substituted into the OnSite display of your feed (using the ShootOnSite feature). When one clicks the camera icon, the image is opened. But because the small camera icon is presented in place of your image, the load time of your web page is not affected. This feature only affects display of the image when the feed is displayed on your web page.Your image is not suppressed in the NewsPage display and is included in your feed, at thumbnail size. And when that thumbnail image is clicked, either a full size version of the image is displayed, or a web page that you chose instead is opened. Go to Stylize & Promote Feeds to get your code snippet to control how your feed is displayed on your web page, i.e., "OnSite". FeedBack ( 0) Today, Vacation Rentals In the News begins operation, offering vacationers a selection of act-now special vacation homes. The service is based on a single feed, "InTheNews", that providers of vacation homes can post onto, as Freelancers. Spots on the feed are consigned to those providers. And when they post, their item is automatically "autologged" to their own news feed. During its introductory phase, membership in the service will be limited, to ensure an orderly start-up. The Enfeedia News Feed Publisher announces a new Freelance Logging feature. A real estate advertising organization hosts a feed to which (s)he designates real estate agents as freelance writers for a fee. The advertiser places that feed on important websites reaching the real estate buying public. Agents publish onto that feed to promote their business with news pertaining to their market. And when they do, those items also accumulate in their own feed that they can use on their website, or other websites, for additional impact. Similarly, an advertiser of vacation rentals providers can contract with those providers to display their postings on the advertisers site, as freelance writers. Their postings accumulate in their own feeds for use on their site, giving them a marketing engine to further their businesses. And so on, for promoting other businesses like restaurants, financial advisors, and event planners. Sign up today for the "Publisher" membership to prosper from these features. Enfeedia introduces automatic Headline postings. FeedBack ( 0) Enfeedia introduces automatic 'Headline' posting onto a news feed you specify as your Headline feed in your account. If you have multiple news feeds in your account, you will find this feature useful for your viewers in that they can subscribe to, or set up alerts for, the Headline feed and be notified whenever an item is posted to any feed in the account. The automatically posted item in the Headline feed comprises just the item title which links over to the feed where you posted this item. To pick a feed to serve as the Headline feed, go to Set Up Feeds, select the Advanced Data Entry Mode, and select "Make this feed a Headline feed". You can make the selection when adding a feed or when editing an existing feed. Whenever you post an item on any other feed in your account, using Advanced Data Entry Mode, you can specify that it also be added to your Headline feed. You will find the check box towards the bottom of the data entry form. FeedBack ( 0) Implementation of NewsOnSite using the ShootOnSite news reader script has been improved, adding clarity to the instructions and improved navigation. Enfeedia's NewsOnSite feature provides you the ability to display your feed directly on your website, if your webserver supports PHP. A full explanation of support requirements are spelled out. (Most webservers provide the required support). The feed is displayed by an Enfeedia-developed "news reader" script called ShootOnSite. You can elect to use the script that's located on the Enfeedia server or you can upload a copy onto your own server. Either way, by placing a small Enfeedia-supplied code "snippet" on one of your web site pages, the feed will be displayed right at that spot on that page. The code snippet executes the ShootOnSite script to perform that function. Not only will visitors to your site appreciate such quick and easy access to your most current information, rather than have to search your site for what's new, but also search engines will reward your site with higher search results page placement because of the value they place on fresh content. NewsOnSite comes with your free "Communicator" membership. Sign up now and get the benefits of on-site feed presentation! FeedBack ( 0) Enfeedia is now offering two ways to display your Enfeedia-generated and hosted news feed on your own website. Choose either "NewsOnSite" or "ShootOnSite". To use NewsOnSite, simply insert a code snippet that Enfeedia provides to you that will execute the NewsOnSite script on the Enfeedia site. Go to the "Promote News" tab at enfeedia.com to get that code. (2) install a code snippet that Enfeedia provides (that executes that local script) onto your webpage where you want that feed displayed. Both cases require that your host support PHP. But whereas your host must also support "PHP external includes" for NewsOnSite, not so for ShootOnSite. So if your host us unwilling to support those "external includes", ShootOnSite is just the thing for you. For an example of ShootOnSite, view the Run Away To Santa Fe Vacation Rentals website. Look about midway down the page. Enfeedia announces new 'Freelancer' feature. FeedBack ( 0) Available immediately, Enfeedia's FreeLancer feature. With this feature, the owner of an RSS news feed can assign writing privileges to a freelance writer for any feed item or items. Privilege is granted by providing a Freelance Password, done so on an item-by-item basis. The same Freelance Password can be assigned to multiple items across multiple feeds owned by one owner to give the freelance writer access to all those items, conveniently offering those items to the writer once signed in. A freelancer signs in using the account name and the special Freelance Password -- that's it. Until the account owner revokes the password, the freelancer can maintain the item as consistent with the assignment. Then at some point, the assignment can be discontinued simply by deleting the password. -- The owner of a stock-tracking news feed can assign writing responsibilities to specialists on those individual stocks. -- A department manager can assign writing responsibilities to direct reports using the feed as a real-time no-email auto-alerting status reporting system. -- A real estate broker can assign writing responsibilities to individual agents in the office to produce a comprehensive brokerage information feed for clients. -- An entrepreneurial account owner can offer an advertising feed, for restaurants for example, where each restaurant can provide a freelance writer to post promotional information, including posting seasonal specials, menu changes, holiday events, and so on. The Freelancer feature is available at the "Publisher" membership level and higher. Announcing release of the personal multi-feed group-published "Gazette"
FeedBack ( 0) Enfeedia announces release of the "Gazette" feature and is making it available for a limited time with the "Publisher" membership. The Gazette is a multi-feed group-published online "newspaper". One builds the custom Gazette for their account simply by filling out a form. Entries include title, subtitle, title link, additional links, and up to 16 feeds. For each feed, the user can specify how many stories to display, and how much of each story to display (with the full story presented by click a "read the feed" link). Furthermore, for each feed, the user can specify one of three styles: "Standard" (users with a password can read any story and post to any feed), "For Members Eyes Only" (users need a special password to read the story, but can see the title), and "Owner Posting Only" (only the owner of that feed can post to that feed). You can think of the Gazette as a multi-user blog. For each feed, a visitor to the Gazette is given the opportunity to subscribe to the feed or receive email alerts upon new postings, and to share content on popular social networking sites. Consider the possibilities: community bulletin boards (e.g. for members of home owners associations), clubs, family shared newsletters (with each family member having his/her own feed), real estate agents, and more. Check it out at Enfeedia.com. Sign up for the Publisher membership. Once you are enrolled, click "Publish Gazette" and get going. View this video for plain-english tutorial about RSS feeds. FeedBack ( 0) Do you find RSS feeds to be somewhat difficult to understand? Like anything else, when you first encounter something new, it can be confusing. Wouldn't it be nice to have a simple explanation about RSS from a good teacher? Then this video is for you. RELEASE ANNOUNCEMENT (UPDATE 2): Publisher Membership now available. FeedBack ( 0) Enfeedia announces the immediate availability of the "Publisher" membership level. - Flexible "Editor / Reporter" feature for group collaboration. Others can post items into your feed, given a password you provide, without accessing each other's submittals. Editors have the priviege of approval of reporter news items before they appear on-line. - More of your custom news feeds with more news items per feed. Consider creating "feed arrays" where items in a "master" feed link to "subordinate" feeds. One news feed address leads to all connected feeds. Imagine a real estate master feed with each item linking to a dedicated feed for a specific property that displays an annotated picture gallery. Check out this example NewsPage. - Ability to insert a Google site and web search tool directly into any news item of your feed. Use your news feeds to lure readers of your feed to your website. Available now, automatically insert a Google search box into your news item. Readers of your news feed can easily search your website using their search terms ... and can also search the Web using the same tool. Imagine how well-written news items can be used to pull visitors into your site, giving them the ability to explore the topic using search terms of their choosing. This news item includes the search box, with the RunAway GetAway Alliance website used as an example. Thinking about a ski vacation? Give "ski" a try. Enjoy! Improving your site's SERP with news feeds. How? FeedBack ( 0) Here's how. Improve your site's Search Engine Results Placement using RSS News Feeds in three ways. First, search engines know from which search term a site was reached, and for how long a site visitor stayed on that page once there. It's widely believed that with this knowledge, search engines will improve the SERP for a search term the longer one views the site using that search term. By including well-written news feeds on your site, you can retain the visitor's attention and keep them around for awhile longer, thereby improving your SERP. Second, when you include news feeds on your site and add a news item from time to time, you keep your website "fresh". Search engines reward sites with fresh content, compared to relatively static sites, with higher SERP. Yes, you could just change your website HTML code from time to time, but hohw much easier it is using a news feed for this purpose: no coding, no file uploading, no web designer fees. Finally, the content of your news items is "crawled" be search engines. If you write news with thoughtfully selected keywords organically intertwined with your text, your web page will be seen increasingly more relevant to search terms appearing in your news items as well as across your site, again improving your SERP. Don't miss out on the news feed opportunity. They're easy, powerful ... and free. FeedBack ( 0) For Enfeedia-hosted news feeds, it's only necessary to know the account name for the account in which that news feed is published in order to read the feed. No need to enter or copy-and-paste cryptic news feed addresses. Just enter the account name in the provided field. You will then be given the opportunity to select any news feed in that account to be displayed. If you publish a news feed with Enfeedia, you can easily direct others to your news feed by simply telling them to visit Enfeedia.com and enter your account name ... so make sure your account name is memorable! Now automatically insert images and include text-links in your news items. FeedBack ( 0) Now Enfeedia automatically generates the code for you to include an image and one or more text-links in your news item. For images, you specify the address for the image and we do the rest. A thumbnail version appears in the news item, and if one clicks the image, the full-size version of the image is presented. Or you can choose to have the image link go to any online document / webpage you want. For text-links, you simply specify the text to be made into a link, and enter the link for that text. We generate the code to make that text a text-link. Make as many links as you want. Consider the search-results benefit to your website by including links to your site in various news items that you publish. FeedBack ( 0) Available immediately ... Second-level membership features have been merged into the free feed publishing "Communicator" membership. Enjoy the benefits of multiple feeds and double the number of news items. Existing members have been automatically upgraded. FeedBack ( 0) ... if the item is longer than you permit, Enfeedia automatically links it to the full item. No upload of documents required, no cryptic links to provide. With this feature, you can choose to include lengthy articles right in your news feed without taking excessive space on your website. And still enjoy the benefits of on-site news for both your visitors and search engines. Introducing ENFEEDIA ... Really Simple Steps to Write, Manage and Drive Your News and Information to Your Audience. FeedBack ( 0) ENFEEDIA announces the commencement of unique news publishing services designed not only for the benefit of your audience but also for improved visibility of your website in search engines results placement. During our introduction stage, we will be selecting a limited number of Charter Members who intend to be active news publishers and who would like to help shape the future of ENFEEDIA with their suggestions. Absolutely no prior knowledge of news feeds required, just the desire to communicate. Check us out! FeedBack ( 0) In posting an item on a feed, be sure to provide a link to online content that provides in-depth material about your posting -- probably a page on your website. Compose your post in Microsoft Word? NO!